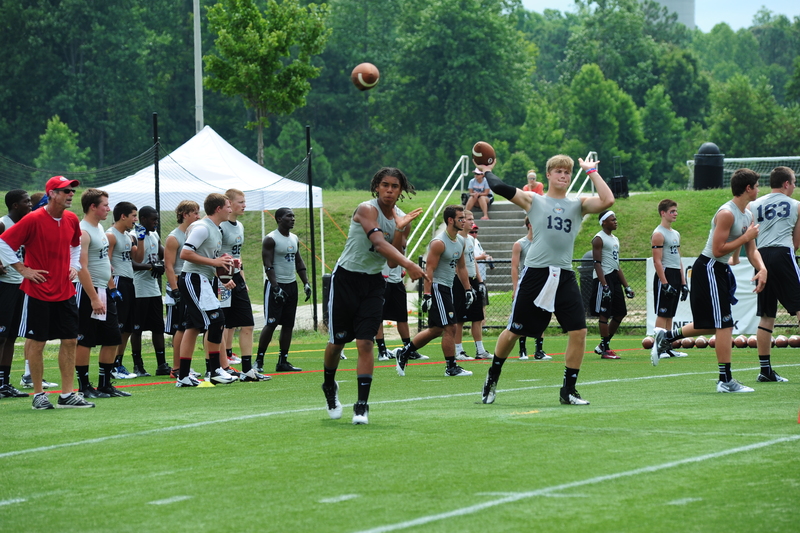 Dublin Chosen to Host the 2013 Football University Top Gun Camp! Thanks to a partnership between the Dublin Convention & Visitors Bureau, City of Dublin, Dublin City Schools and Nationwide Children’s Hospital Sports Medicine, our city has added another prestigious sporting event (one of the largest ever) to our roster for next year! On July 18-24, 2013, Jerome High School will host 1,500 youth and prep football players from across the United States for the invitation-only 2013 Football University Top Gun Camp. There will be two separate camps – one for middle school and one for high school students. The event is expected to attract attendees from across the United States, Canada and Europe and will generate an estimated 5,000 room nights for area hotels. Dublin Scioto High School will also host Football University’s 2013 regional camp on June 7-9, 2013. Rich McGuinness, President and Founder of All American Games, a sports marketing company that owns and produces the U.S. Army All-American Bowl and Football University, said that Dublin was chosen over numerous other locations across the country because of the city’s “facilities, passion and its past history of hosting world-class events”. Last year’s event was held in Williamsburg, Virginia. For more information about this exciting event, visit http://www.footballuniversity.org.